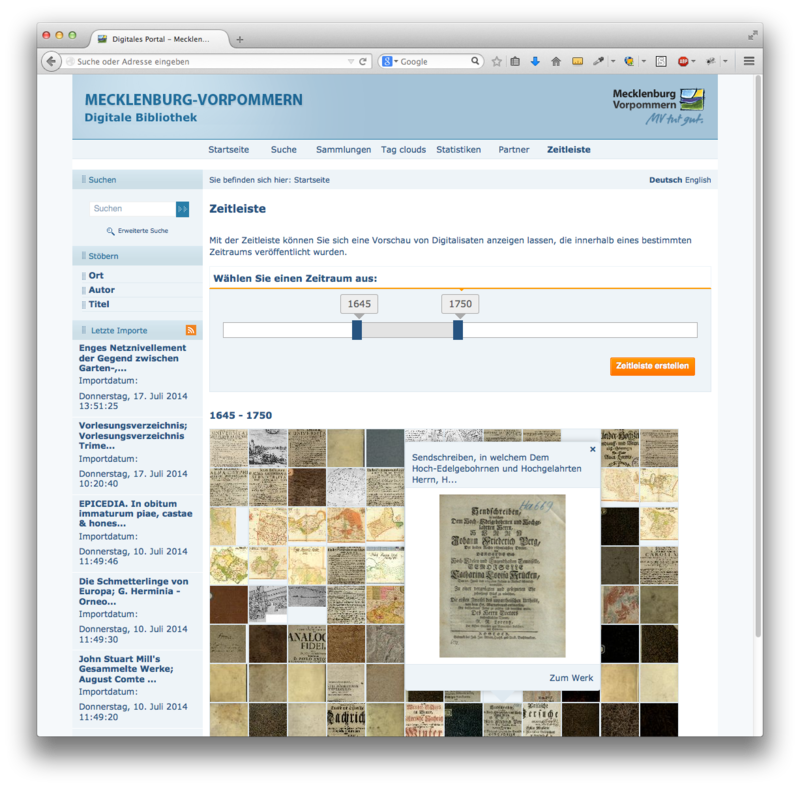 Goobi viewer as digital library. What is the Goobi viewer? The Goobi viewer is a web application that allows digitised material to be displayed on the computer screen. Present your visitors your digitised content online. The Goobi viewer can provide the basis for your entire digital library – from browsing through your digital collections through to complex full-text searches, from single sheets through to whole books, and of course all your audio and video material. Whether library, musem, archive, publisher or research organisation, the Goobi viewer can help you to shape the future of digitisation. The academic world is currently experiencing a tremendous surge of interest in the digitisation of books. Libraries, archives and museums are keen to make their cultural assets available in digital form, primarily in order to preserve their stock of materials but also as a way of facilitating access to valuable items from our cultural heritage that would otherwise be unavailable to those with a particular interest. The Goobi viewer has been designed to meet these precise requirements. It can display various types of digitised content using a modern web interface and is highly configurable. Images, audio and video material can all be merged into a single presentation. The Goobi viewer handles the entire visualisation of your digitised material. Based on standardised metadata formats, it not only displays your material but also offers website visitors a range of useful tools that help them to navigate and even to contribute their own content – for example a page turning/location function and quick links from the digital index. You can make your content available for download as individual chapters or as a complete work in the form of archivable PDF/A files. You can also set up a licensing system to control access to your content by granting an authorisation for example to certain IP addresses or to individual users. An application that needs to manage terabytes of data and simultaneously handle a large number of users must have a solid technical base. The Goobi viewer uses highly scalable Java- technology and popular open-source components. Based on standardised metadata formats, it not only displays your material but also offers website visitors a range of useful tools that help them to navigate and even to contribute their own content. As well as offering your users content and functions, the Goobi viewer allows them to play an active role in shaping your digital library and to contribute their own content.